Rev. 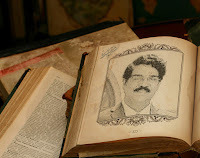 DR. N.Jaya paul Founder of Calvary Chennai and Jayapaul Foundation is one of the Faithful Servant of GOD. His sermons are very powerful and renewing our mind to get closer to God. Dr. Jayapaul is very talented singer with good voice and his songs selection and songs are very beautiful to listen. online songs are available in internet.